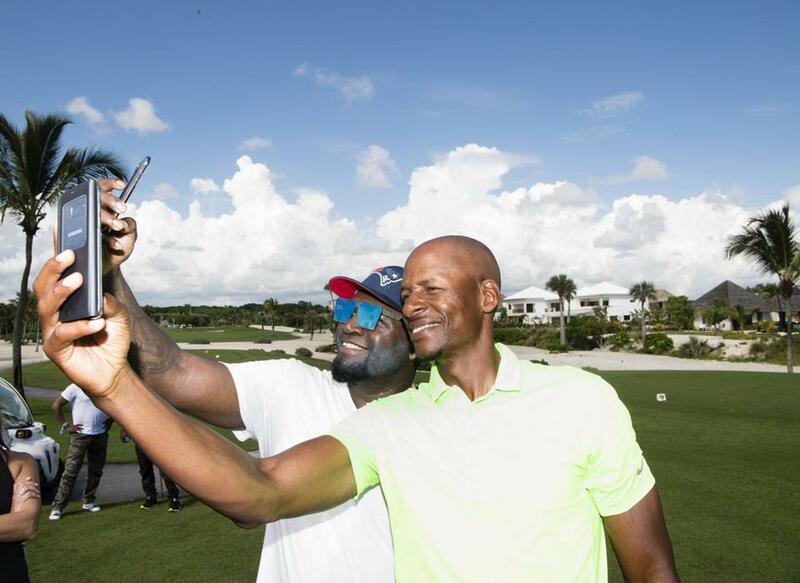 David Ortiz and Ray Allen take selfies at the Punta Espada Golf Course. By all accounts, the annual David Ortiz Celebrity Golf Classic — now in its ninth year — was a good time. The event, at Punta Espada Golf Course in Big Papi’s native Dominican Republic, grossed nearly $700,000 for the David Ortiz Children’s Fund, which pays for surgeries for children in the DR and New England (in partnership with MassGeneral Hospital for Children and the World Pediatric Project). In addition to Papi’s better half, Tiffany, and the couple’s children, Jessica, Alex, and D’Angelo, attendees included Sox players Hanley Ramirez and Robby Scott, 2016 World Series champion Cubs Dexter Fowler and Aroldis Chapman, Mariners star Robinson Cano, Orioles outfielder Adam Jones, Blue Jays Josh Donaldson, Edwin Encarnación, and Jose Bautista, Yankees pitcher C.C. Sabathia, as well as former Celtics guard Ray Allen, Bruins legend Bobby Orr, former Sox knuckleballer Tim Wakefield, actor Kevin Chapman, comedian Lenny Clarke, and JAM’N 94.5’s DJ Pup Dawg, among many others.